For picking mid to late July. A cropper with vigorous, upright growth. 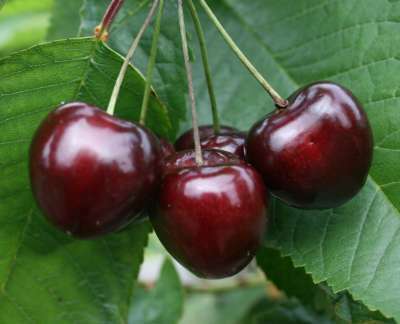 Large, black fruits with a sweet flavour and very high quality. Pollinate with: Amber Heart or Stella.